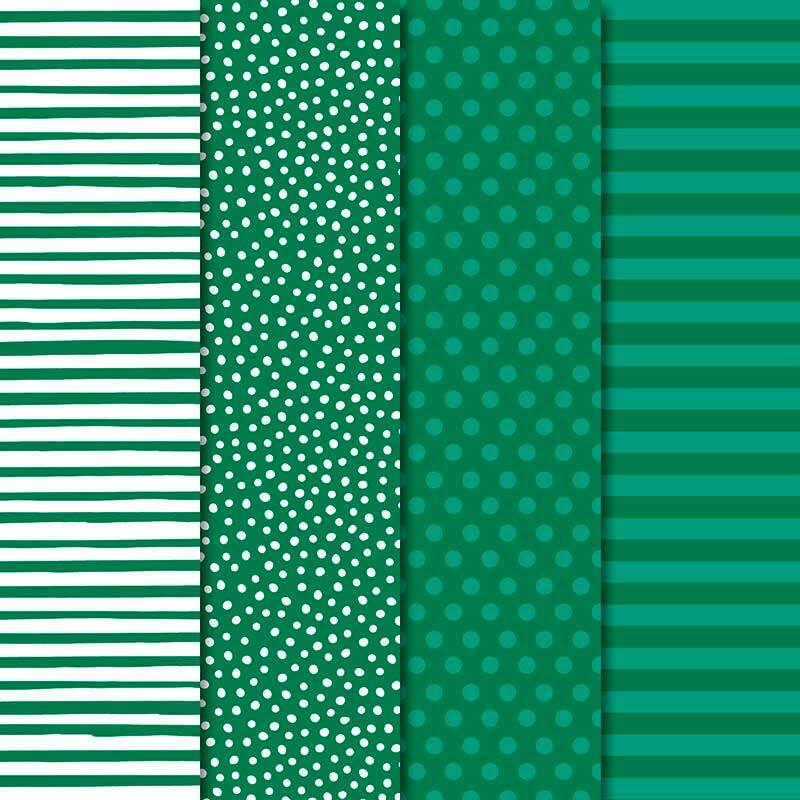 This week's Colour Creation colour is Shaded Spruce, a wonderful rich, emerald green. 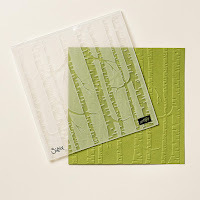 I have two cards to share with you which feature stamp sets that are not returning in the next catalogue. The first one features the Lovely As A Tree set which has been available longer than I have been with Stampin' Up!, but is sadly leaving us when the current catalogue finishes on the 2nd of June. 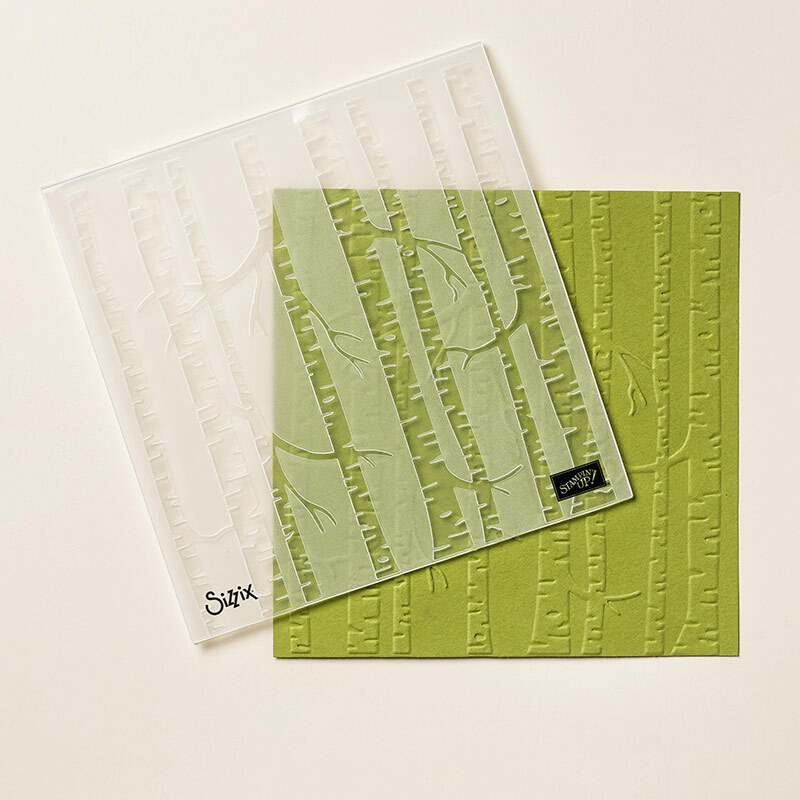 This card also uses the Woodland embossing folder, which happily will be back for another year. 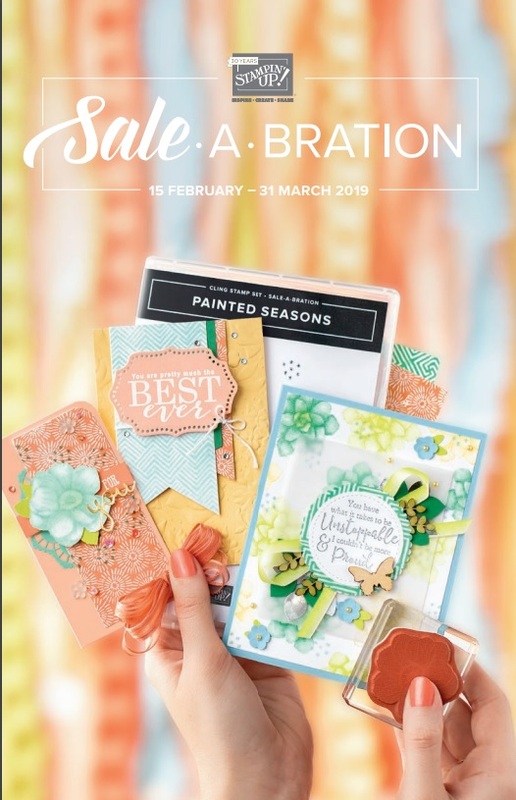 The second card uses the Flowering Desert stamp set which is currently in the Occasions Catalogue, but unfortunately it is not carrying over to the new catalogue. I hope you love this colour as much as I do and thank you for stopping by to check out my cards. 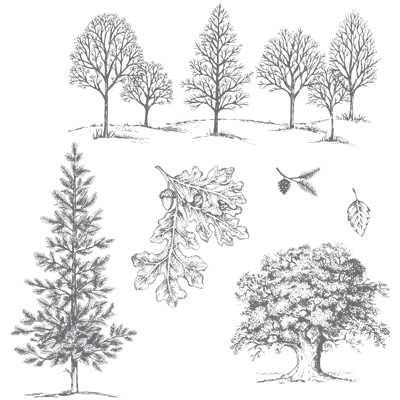 For more Shaded Spruce inspiration head to Cathy's blog, where you will find a full list of today's participants. The discontinued product lists have been released and the items on these lists are only available until sold out or until the 2nd of June. Click below to see all these products on my online store. 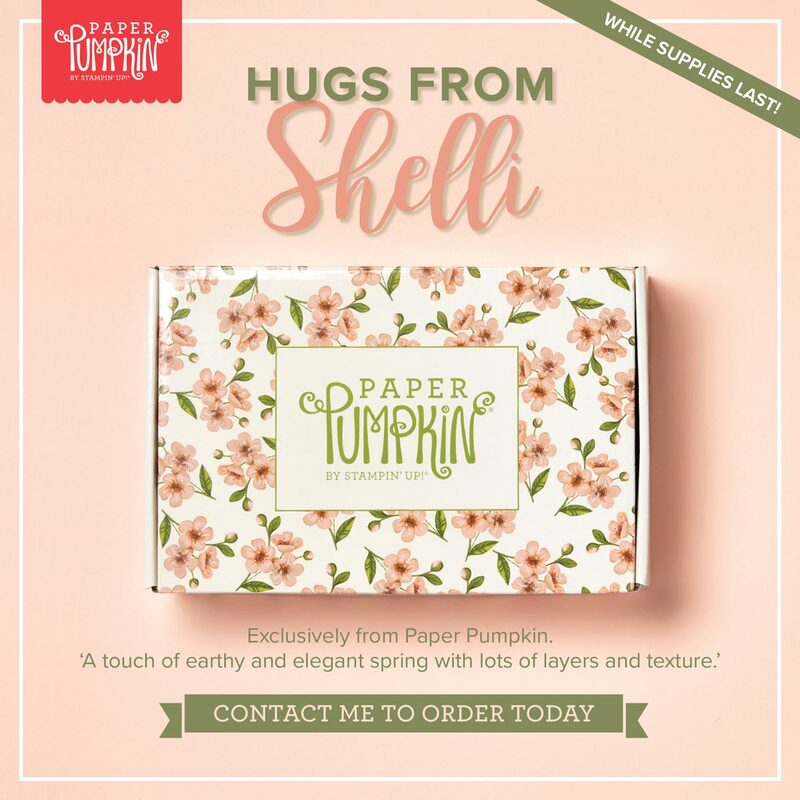 Also coming soon is Australia's first Paper Pumpkin Kit. 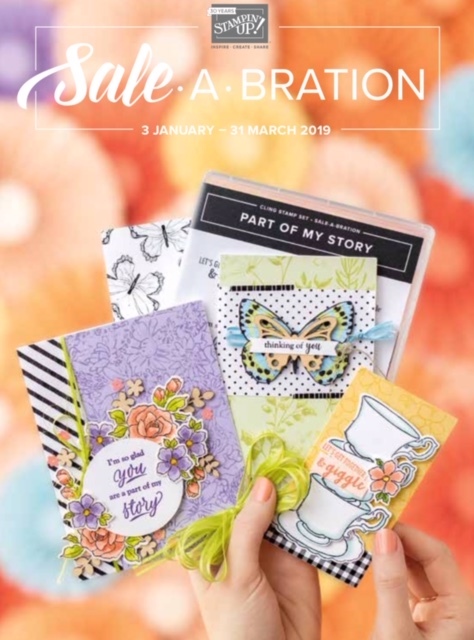 These have been very popular in the US and now it's our turn with a very special kit co-designed by Shelli, the co-founder of Stampin' Up! These are only available until stocks sell out so if you are interested please contact me ASAP or order online on the 15th of May. Here's a sample of one of the cards in the kit that we made at the Stampin' Up! Onstage event in Auckland. The kit contains all supplies to make 12 cards, 3 each of 4 designs. 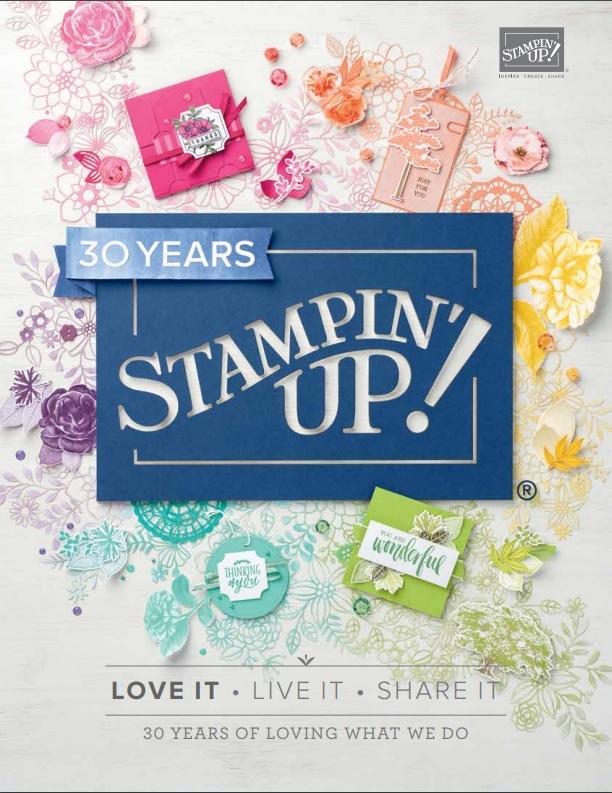 Contact me with any questions, I love to talk about Stampin' Up! 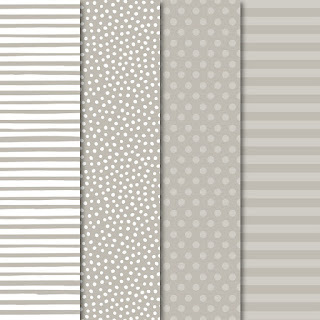 This week the Art With Heart Team are featuring one of our Neutral colours, Sahara Sand. I thought it was time I tried the Floating Border Technique that is making the rounds at the moment. I paired Sahara Sand with Petal Pink, Lovely Lipstick and Pear Pizzazz and the Climbing Orchid Bundle to come up with the following cards. I will be featuring these cards and other Floating Border cards in my class on the 11th of May. For more Sahara Sand inspiration head to Catherine Proctor's blog for a full list of tonight's participants. 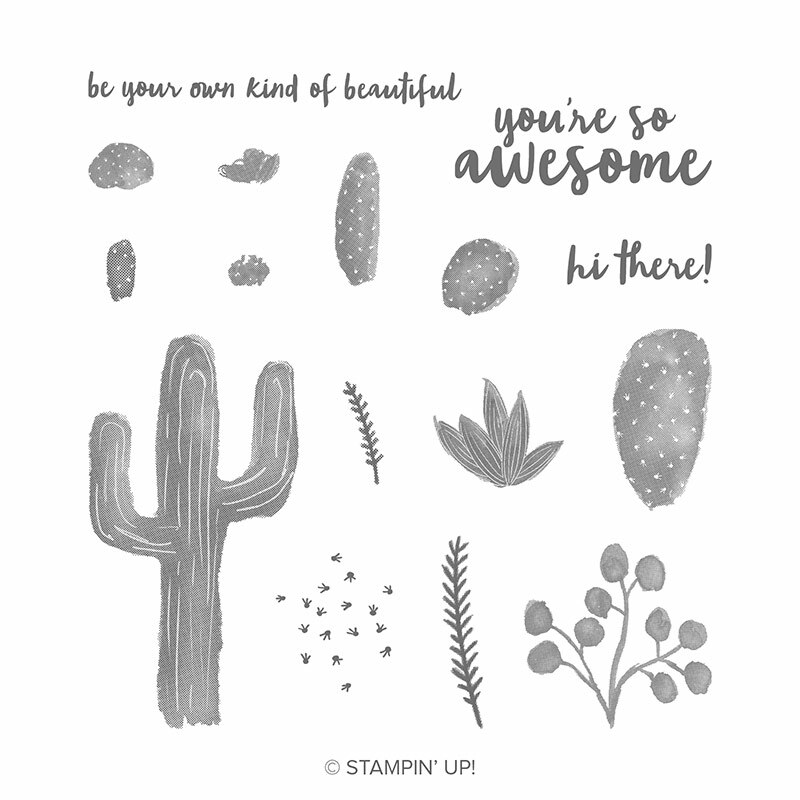 Happy stampin and don't forget to check back for more New Stampin' Up! 2019-2020 Catalogue inspiration. These are the samples I made for Stampin' Up! Onstage New Zealand display boards using the Bird Ballad Suite that I used in my presentation. I love fussy cutting and this Bird Ballad DSP is perfectly suited to fussy cutting. I have also used the new Stitched Nested Label Dies on this card to cut out the Whisper White background piece. Speaking of Stitched Nested Label Dies, this card uses them to excess. I cut numerous pieces from the Bird Ballad DSP and used them to create the background for this card. Some pieces are highlighted by Dimensionals. This card uses the Stitched Nested Label Dies to cut two windows in the DSP and card stock layers to form a frame around the greeting.The Very Vanilla Lace has been coloured with a Black Blends Marker. The next three cards use the Laser Cut Cards that are included with the Bird Ballad Tin. This beautiful tin includes 12 Laser Cut Cards and Envelopes. 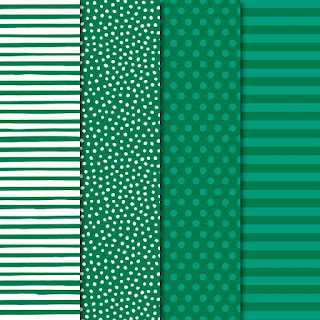 More fussy cutting for this card, Pool Party card stock background and greeting on Very Vanilla. I stamped and coloured these flowers from the Free As A Bird stamp set with Stampin' Blends and then more fussy cutting. 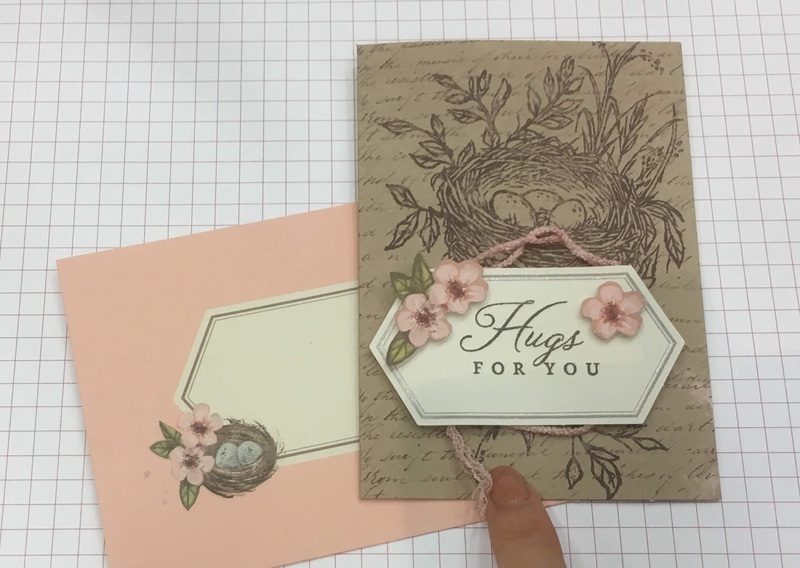 Greeting and mat cut with the Stitched Nested Label Dies. Petal Pink background this time. Guess what? More fussy cutting. The birds are fussy cut from the DSP and I also had to make small cuts in the card front to fit the birds heads through. This brings me to the end of my Bird Ballad creations for now. 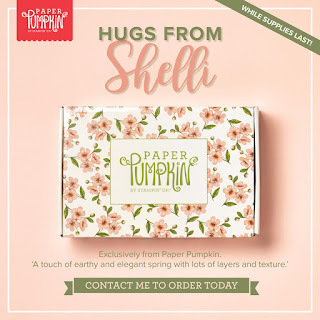 For more information on my projects or for anything Stampin' Up! related feel free to contact me. Be sure to check back regularly for more New Stampin' Up! 2019-2020 Catalogue sneak peeks. I'm very excited to be sending you this post from Stampin' Up! Onstage Live in Auckland New Zealand. I can now reveal that I was very lucky and honoured to be asked to do one of the presentations at Onstage. I was extra lucky to be given the beautiful Bird Ballad Suite to present. Here's a video to show the technique I used to cut out the bird image on this card. I hope you love this suite as much as I do. I certainly have had a wonderful time playing with it so far... lots more to come. I have lots more samples that I used on the display boards to show you. Pop back in soon the see what else is happening at Onstage. I love being a Stampin' Up! demonstrator. Contact me if you would like to join us at the next event in November. Rich Razzleberry is the featured colour for this week's Art With Heart Colour Creation Blog Hop. I have used a follow over set from the Holiday Catalogue called First Frost. Card base is Rich Razzleberry with a Whisper White layer that has been embossed with the Subtle Dynamic Textured Embossing Folder. The flowers are stamped in Rich Razzleberry and Powder Pink. The greeting is from the Painted Glass stamp set. The greeting has been die cut using a die from the Frosted Bouquet Dies set. Finishing touches are some Rhinestone Jewels that have been coloured with the Rich Razzleberry Blends Marker. The second card also uses the First Frost stamp set, but is this time paired with the Floral Romance DSP. The leaves behind the flowers have been punched with the Leaf Punch and the greeting has been die cut using the Stitched Labels set. The greeting is from the Beautiful Bouquet stamp set. Again, the finishing touch is some coloured Rhinestone Jewels. I hope you enjoyed my cards, thank you for stopping by. For more Rich Razzleberry inspiration head to Cathy's blog for a full list of tonight's participants. 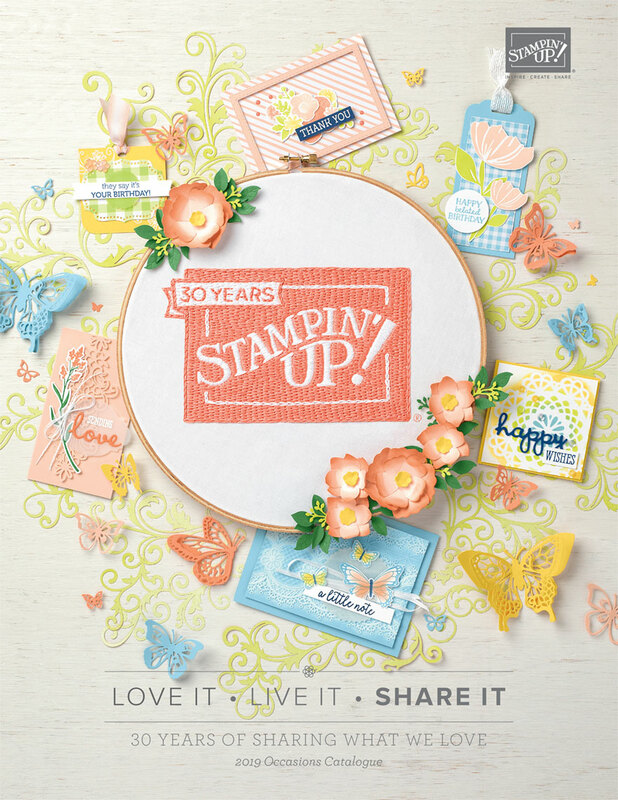 I leave tomorrow for Stampin' Up!s Onstage convention in New Zealand, which starts on Thursday. Make sure you stop by regularly as I will be posting lots of exciting news.